German-born Stephen Bader was trained to make medical instruments, but when he emigrated to America in 1929, the work he found was as a bus driver. By the 1940s, however, the United States found itself in need of Bader’s skills. 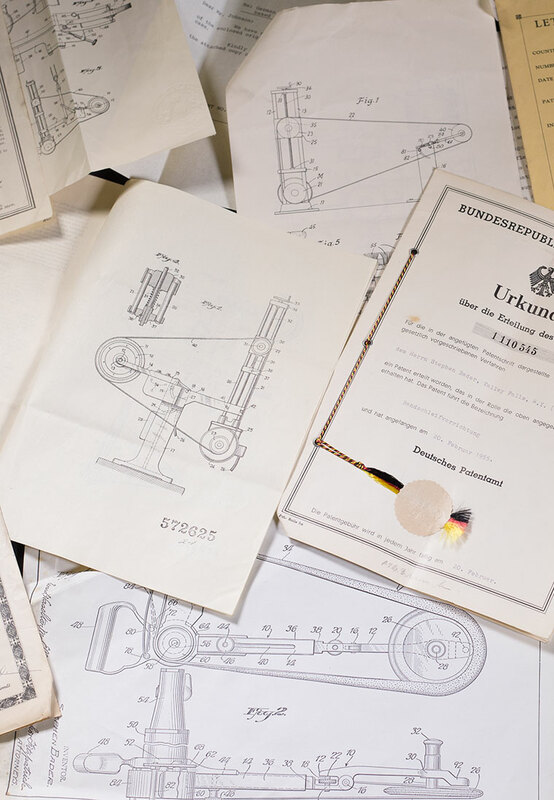 Surgical tools were among the many products that a war-torn Europe could no longer export. Bader set up a small shop in Long Island’s Rockville Center. The abrasive grinding wheels on the bench grinders available in those days had a tendency to blow apart when they overheated. When one exploded in Bader’s shop, seriously injuring one of his employees, he became determined to find a safer way to grind and finish. Thus was born the first Bader grinding and finishing machine with an endless abrasive belt. Before long, other shops were asking him to make belted grinding machines, which he did, on a very limited basis. In seeking a source of abrasive belts for his machines, Bader met a salesman from Bear Manning Company, who agreed to sell the Bader grinder through his company’s distribution network. This arrangement led Bader to move his family to Valley Falls, NY, in 1949, near the headquarters of Bear Manning, which later became Norton, and then Saint Gobain. In 1951, Bader was awarded US Patent No. 2,578,662 for his machine. Subsequent patents in 1956 and 1967 marked innovations that made the machine more compact, transportable, versatile and adjustable. Dan Johnson came to work for Stephen Bader Co. Inc. in 1968 after his marriage to Stephen’s eldest daughter, Rosemarie. When Stephen died suddenly two years later. Dan took over the day-to-day operations of the company and Stephen’s widow, Anna, managed the financials, until her death in 1992. Dan Johnson ran Stephen Bader Co. alone until 2001, when his daughter Carrie Johnson joined the company. She has since assumed charge of day-to-operations.